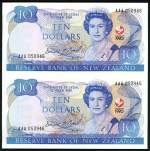 1990 $10.00 uncut pair AAA banknotes Unc. 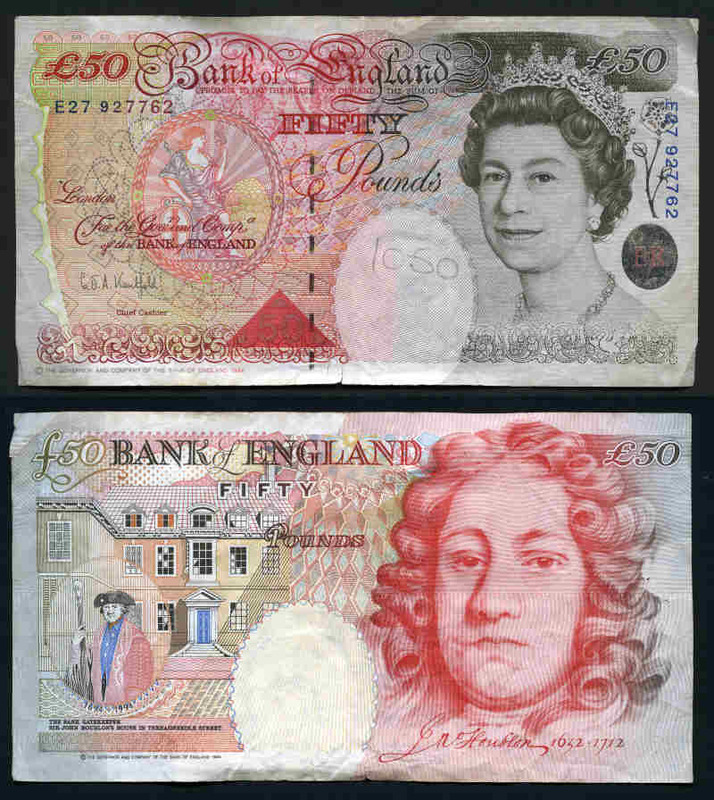 1994-2006 £5, £10 (3), £20 (3) and £50 banknotes circulated. 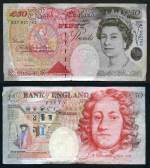 Face Value £145.00. 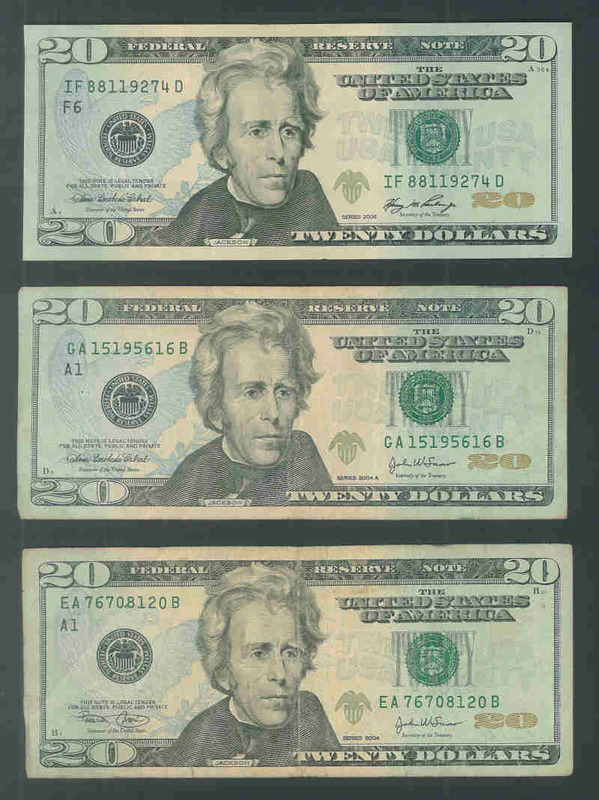 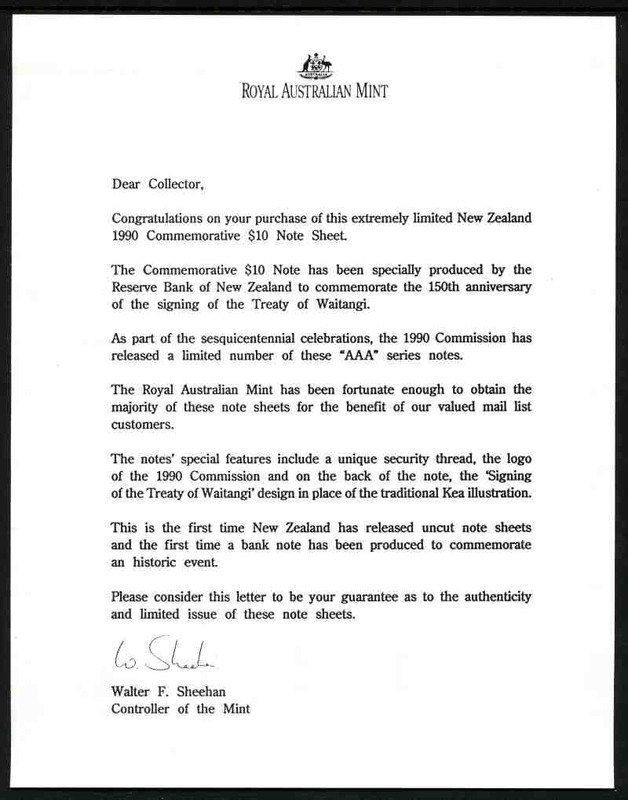 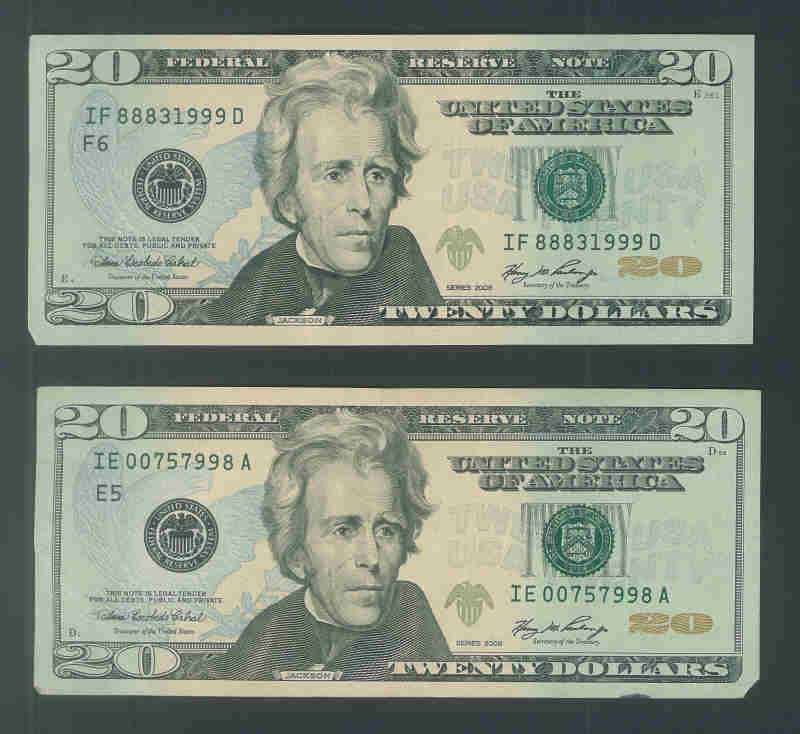 2004-06 $20 banknotes circulated. 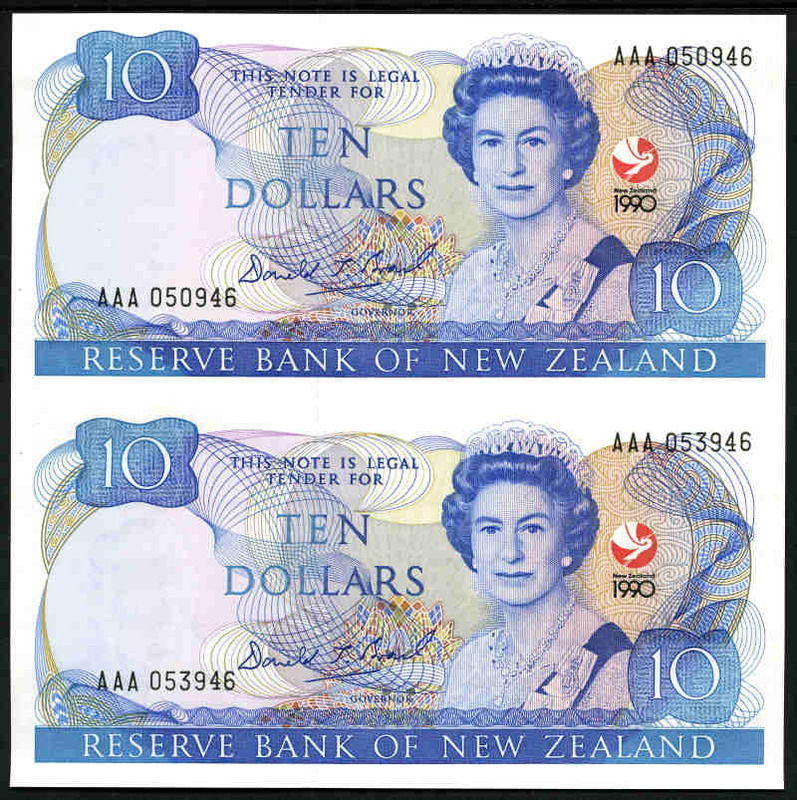 Face Value US$100.00.